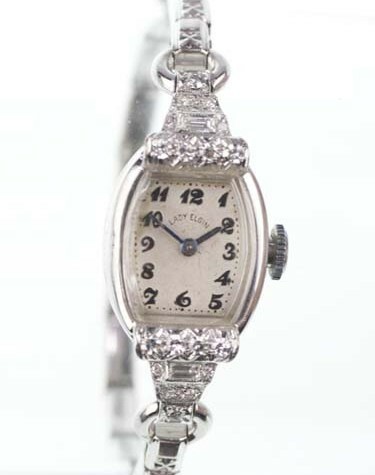 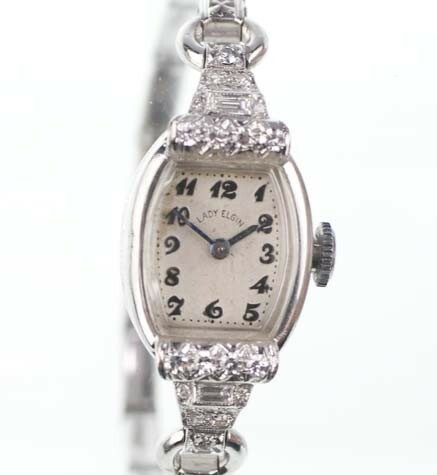 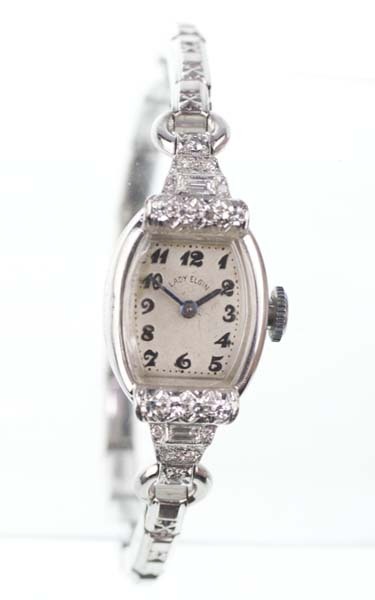 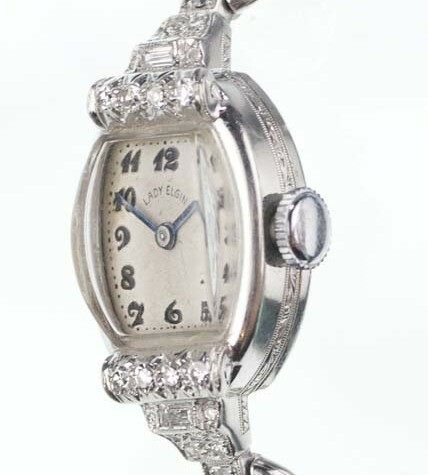 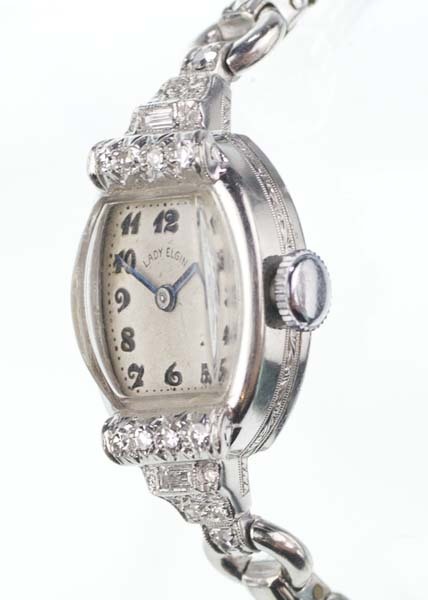 A diamond encrusted Platinum ladies cocktail watch from the Lord Elgin watch company. 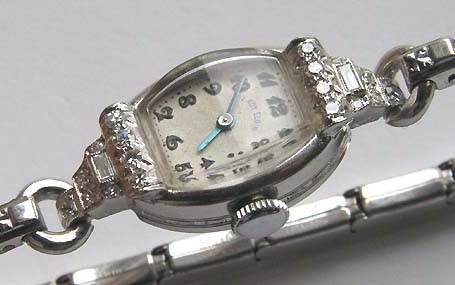 This 1950’s platinum cased cocktail watch is covered in baguette and brilliant diamonds. 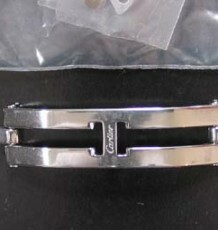 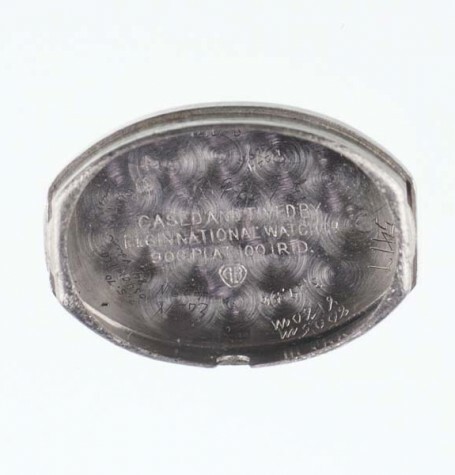 The .900 platinum case is in excellent condition and is signed Elgin National Watch Company. 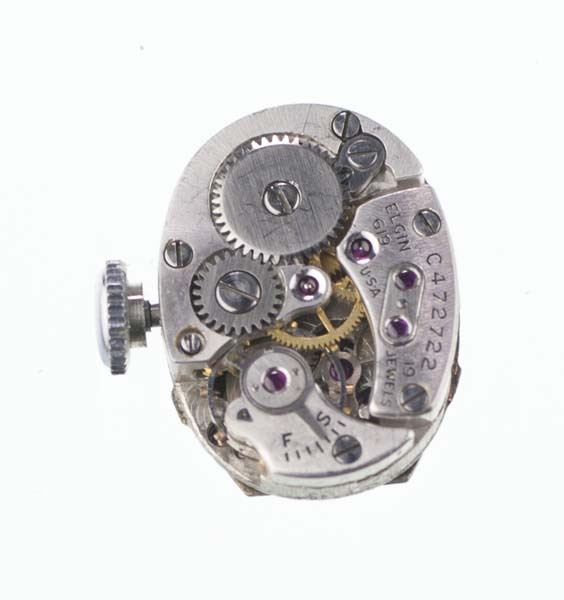 The high grade Elgin 19 jewel calibre 619 movement was recently serviced and is keeping great time. 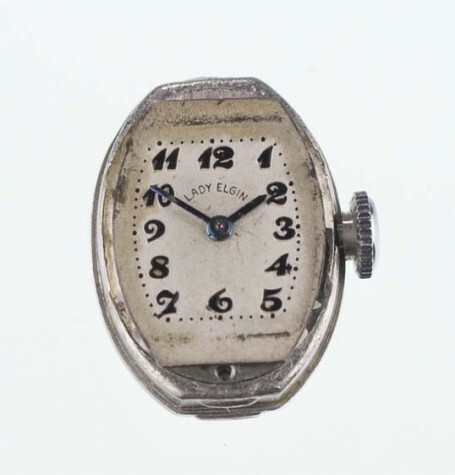 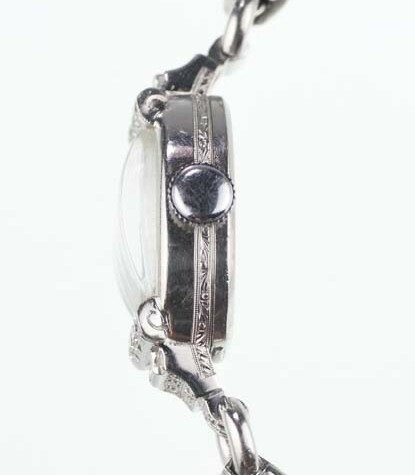 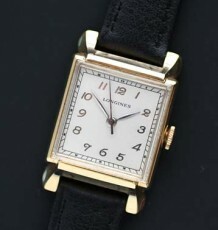 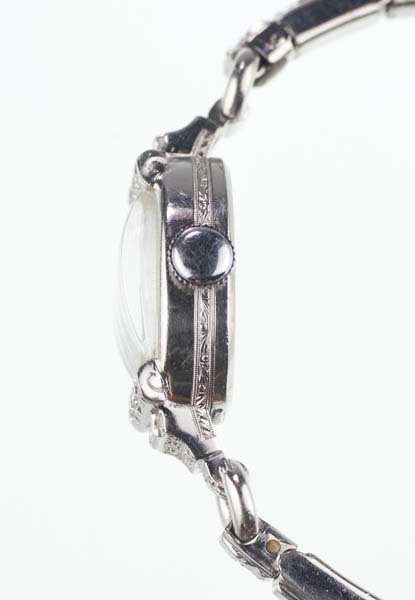 The Lady Elgin line of watches was the female line developed to retail along side of the Lord Elgin brand. 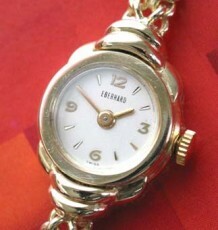 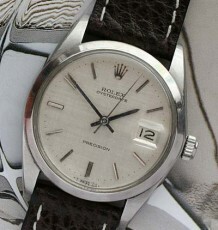 Lord Elgin was a highly regarded brand of watches in the 1950’s and 1960’s with many adventurous designs. 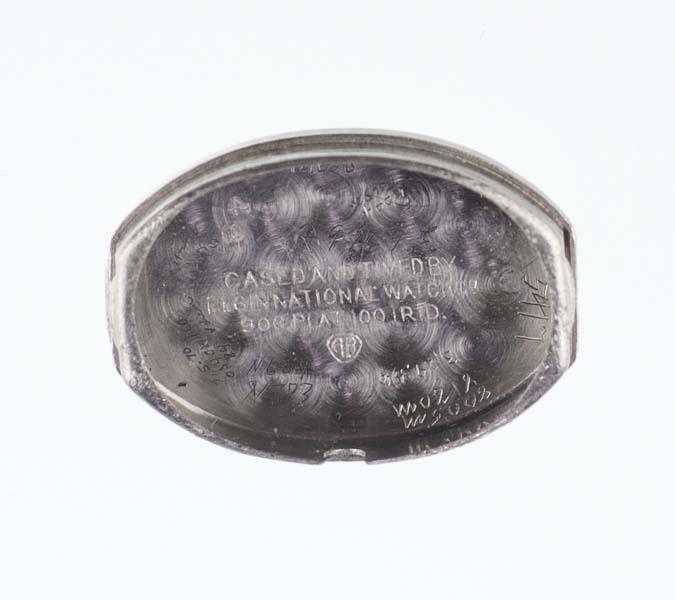 The case measures 14 mm wide by 31 mm long.